Everything at Disney sparkles..just like this blog! 10 Best EPCOT Secrets ! I LOVE EPCOT…and no, I’m not writing in all caps throughout this post, I just wanted to emphasize love and EPCOT happens to be all caps. I wasn’t yelling at you, I promise, please don’t leave. Okay, moving on. EPCOT is my favorite of all the parks, however, it’s not a crowd pleaser with many kids. If you make your way to the Experimental Prototype Community of Tomorrow…or EPCOT make sure to take advantage of these great tips. 1. Cool Club by Coca Cola | Conveniently located right before Test Track, Cool Club is a hidden gem in Future World West. It’s brought by Coca Cola and offers tastes of many Coca Cola products throughout the world (My favorite was Israel’s, hubby’s was Mozambique’s). You can try as many as you want as many times as you want for FREE! They have cute little paper cups for your “samples” which are a decent size. – And you didn’t read this here but you could maybe take a few if you have little kids to give them a bit of your drink and save money on that later on -. They have great Coca Cola/Disney merchandise that you won’t find anywhere else. 2. Character Spot | Located in Future World West, you can finally stop hunting down Minnie, Mickey and his friends for a picture. They’re here! All day! Although the 3rd guest changes, the day I went it was Pluto, that dog is so lovable. It’s indoors, air conditioned and has a carpeted floor. This means that you can get some air and have the kids sit on the floor while the wait – maybe even have a snack. A great trick is to go towards the end of the day. Stop by and ask the cast member on duty until what time they’re going to be there and go at least 30-40 minutes before, the later it is the high chances that everyone has already take their picture and are on their way to the fireworks show. We did this last time and only waited 15 minutes. Remember, they’ll take a picture with your camera but the ones with the Photo Pass will look much better since it’s the camera that the cast members are used to handle. Smile! 3. Kim Possible World Showcase Adventure | Great way to make EPCOT fun for kids. It will give them small assignments to due, clues to find and places to go while on an adventure with Kim and Wade. Find all the equipment necessary at one of the KP Recruitment Centers, look for them at the park map when you get there or ask a Cast Member. 5. Sugar Candy artist at Japan Pavilion | Japan (duh!) Right next to Teppan Edo there’s a small booth where an artist makes amazing sugar candy figures, from parrots to flowers they are true artists. Watch as they make these “figurines” in the blink of an eye while explaining everything. 6. Innoventions East & West | Future World East | Great area for kids and the whole family to walk around, see how stuff works, learn how to make the world a better place and see all sorts of cool things related to saving energy, recycling, air, etc. (Don’t tell the kids it’s all science, they’ll go mad I tell ya’, simply mad.) Oh and it’s indoors with air conditioning. 7. Funky snacks at the pavilions | Don’t just walk by the pavilions. Go inside, take a look around. Besides amazing replicas, natives from the lands and great information on each country there are delicacies from each country there. You don’t have to spend a whole lot, maybe buy one thing at every pavilion for the whole family to share. There are seaweed and shrimp chips at Japan, gummy sushi at China, hummus and kabobs at Morroco, dark chocolate with hazelnuts at Italy, German chocolate cake at Germany (or bratwurst with biër if you’re 21+). In United Kingdom you’ll find butterscotch biscuits (cookies) and native chips, same with Canada. In Mexico, Norway, France and U.S.A you’ll find more familiar treats such as nachos, taquitos, caramel, caramel popcorn, croissants, napoleon dessert and funnel cake. 8. Malestrom | Norway . Fun ride that you wouldn’t expect inside a pavilion and it ends with a short film that you watch or skip. Short wait times as well and it has a few surprises here and there that I won’t spoil. 9. Illuminations: Reflections of Earth | The best way to end the night at EPCOT! Start heading to Showcase Plaza at least an hour before it begins (Check the times in the “Show Times” paper conveniently located next to the park maps when you enter) to get a great view. 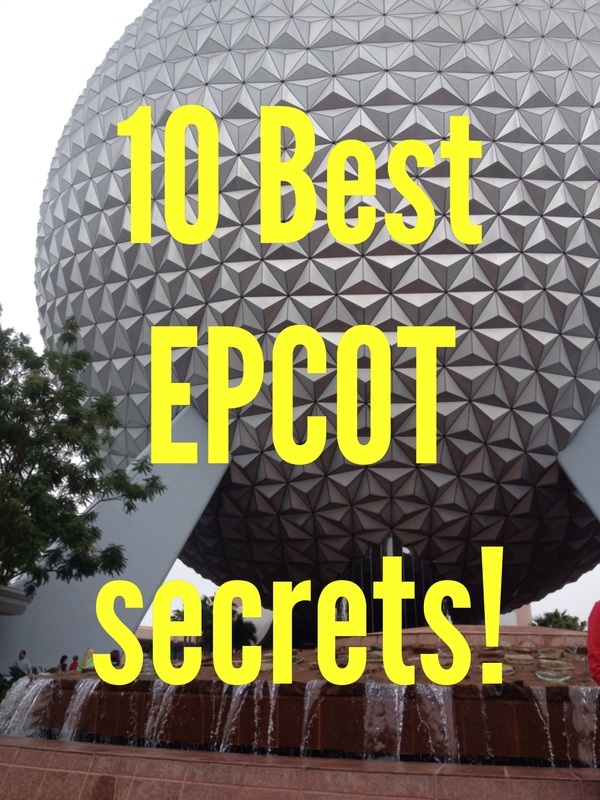 What are your secrets for EPCOT? Favorite things to do? Let me know! Disclaimer: This is not a sponsored post. All things mentioned are done so by my own recommendation. Photo is taken by and is property of Disney and Sparkle, feel free to use it but if you can, link back to us! Have a sparkle-y day.